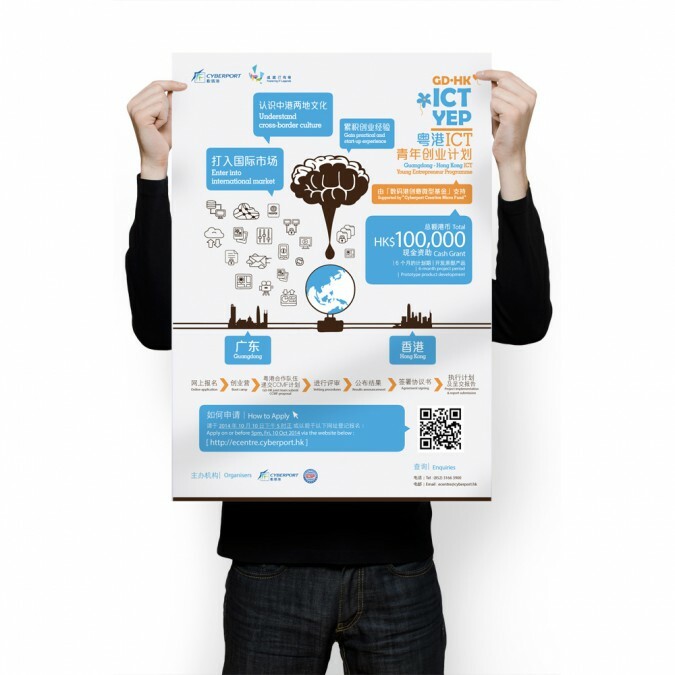 Hong Kong Cyberport Management Company Limited (Cyberport) organizes Hong Kong ICT Young Entrepreneur Programme (GD-HK & SZ-HK ICT YEP ) aiming to foster partnership between Hong Kong and Guangdong or Shenzhen ICT talents through a series of business skills training toward the path to entrepreneurship. The Programmes have been launched successfully since 2013. From 2013 though 2015, we are responsible for the design of promotional materials ranging from Logo, Poster, Website, Brochure, EDMs, Web banners to Outdoor banner and Pull-up banner to make sure the brand image resonates in the right way. 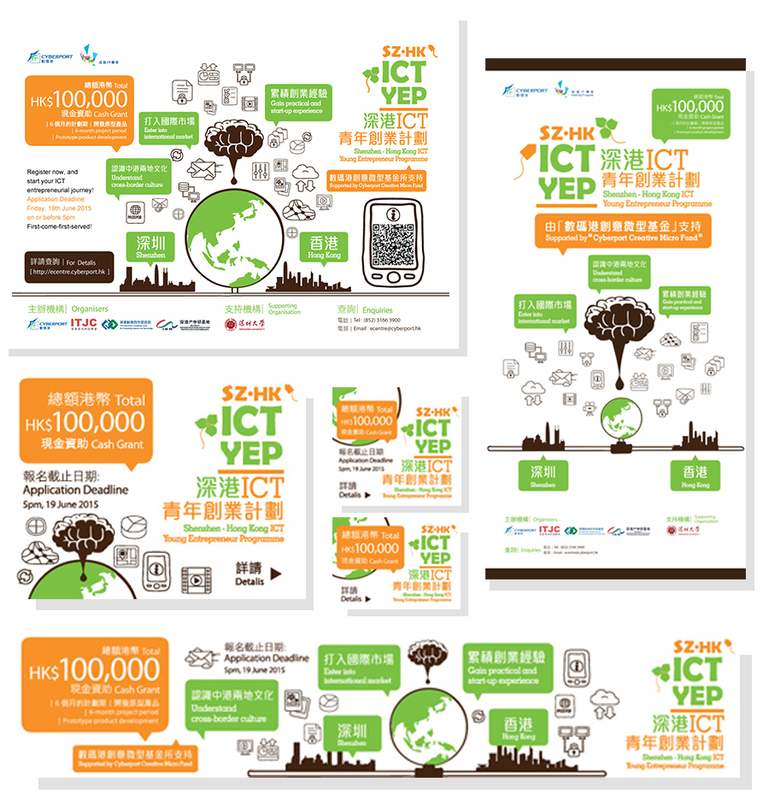 In 2014, the client would like to enhance the differentiation between Guangdong( GD-HK ICT YEP ) and Shenzhen( SZ-HK ICT YEP ) Hong Kong ICT Young Entrepreneur Programmes, we revamped the brand logo by using City Flower to make the programmes more presentable to particular cities. 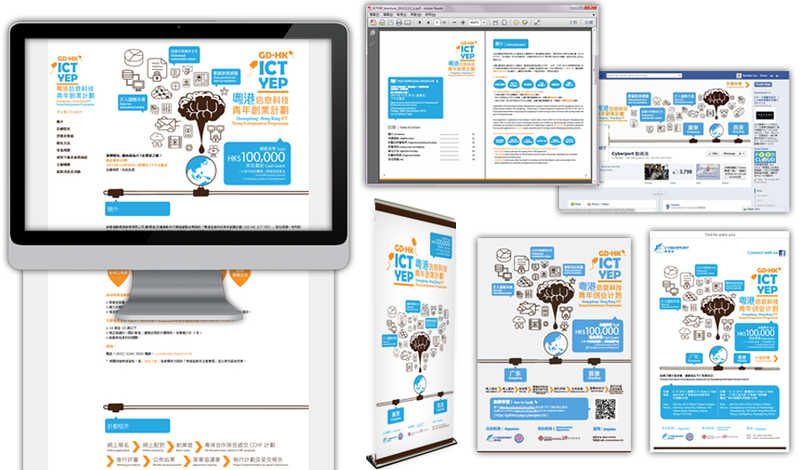 The most updated design layouts of promotional items for Shenzhen – Hong Kong ICT Young Entrepreneur Programme 2015. 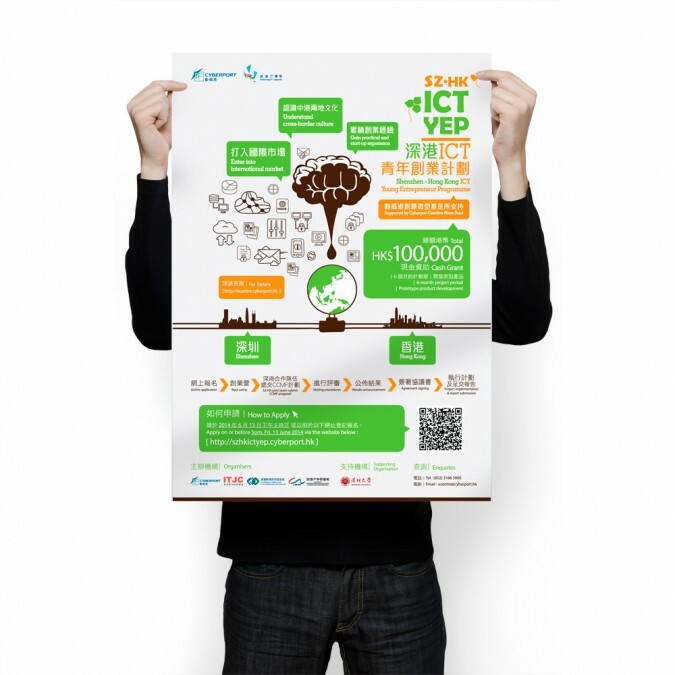 Additional to this promotional campaign project, we have been collaborated with Cyberport for other projects since 2009.